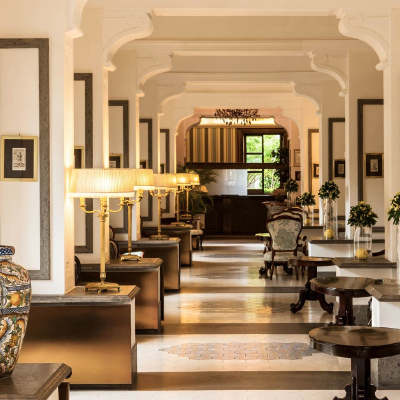 On a recent trip to Italy, we decided to stay at the Grand Hotel Cocumella of Sorrento, located on the Sorrento Peninsula of the Amalfi Coast. 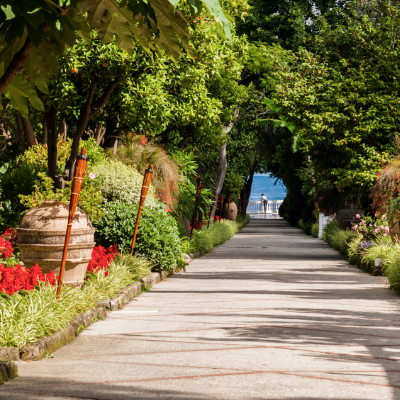 The Amalfi Coast is one of our favourite places to visit in Italy. It’s beauty is quite something to behold, so we were very much looking forward to enjoying its delights from the Grand Hotel Cocumella, which is perfectly located to do so. With it’s prime location, you must be sure to visit the sights whilst staying at this hotel. The ruins of Pompeii and Herculaneum and the islands of Capri and Ischia are all nearby, and are absolutely worth a visit. 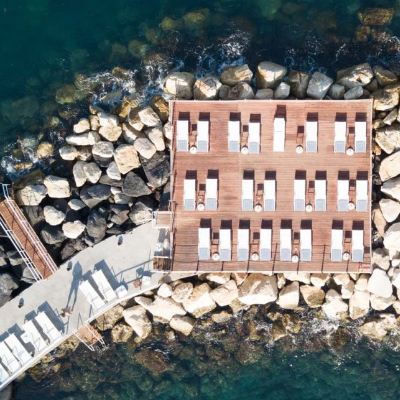 However, the hotel itself also has a lot to offer, including it’s own stretch of sandy beach as well as a private solarium, which makes relaxing by the beautiful sea a real pleasure. When we arrived we were greeted warmly by the staff, and shown to our suite. The suites at the Grand Hotel Cocumella are beautifully presented and ours boasted a lovely terrace with a large table and chairs perfect for your alfresco breakfast, whilst taking in the stunning view. 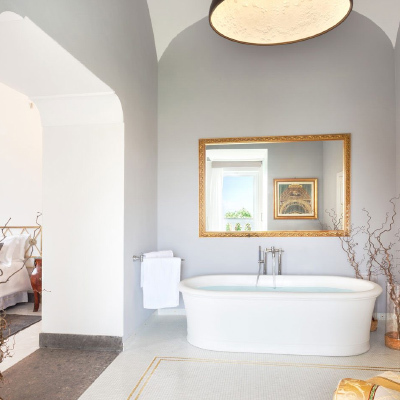 The suite itself was spacious and open plan and was complete with a living area with a sofa and coffee table, a bedroom area which also incorporated a free standing bath tub, as well as a private bathroom that was home to a separate walk-in shower, wash-basin and toilet. In terms of the food offering at the hotel, there are a number of options for dining. At the top level there is Restaurant Scintilla, which offers local specialities, international classics and an array of Mediterranean dishes. There is also The Citrus Grove that offers more casual poolside dining throughout the summer months, where you can enjoy the outdoors over breakfast. Finally, Coku sees the first Robata restaurant in Italy, serving up both Mediterranean and Japanese dishes. 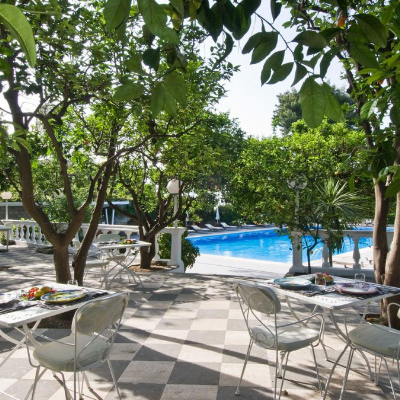 The hotel’s other facilities consist of a large swimming pool, which you will find shaded by beautiful orange trees, as well as a spa that can be found whist exploring in the grounds of the hotel. The spa offers a range of massages and treatments, as well as a Turkish bath, a sauna and a Jacuzzi pool. All in all we thoroughly enjoyed our stay at Grand Hotel Cocumella. The facilities were well appointed, the staff members were wonderfully friendly throughout our stay, and the location is superb. 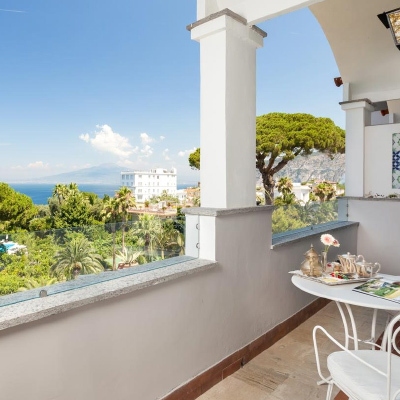 We absolutely love the Amalfi Coast and highly recommend it as a beautiful holiday destination, and in terms of accommodation we would suggest checking out the Grand Hotel Cocumella if you’re looking for a resort-style option that is home to everything you should need for your break.